Preguntas frecuentes sobre la terapia con delfines. QUESTION : Cómo, Donde y con Quién puedo registrar a mis pacientes para la terapia con Delfín? Porfavor contesta las 42 preguntas antes de enviar. No tiene ningún costo!!!!!!! Estos cuestionarios son recividos por nuestro Agente de Viajes en Alemania (Herr Franz Josef Wiengarn) y por nuestro equipo médico en el Centro de Terapia con Delfín en Marmaris simultaneamente. Habiendo indicado, las fechas, hotel, número de personas viajando y, tambien muy necesario, las fechas de nacimiento de los niños que viajan, usted recibirá dentro de los dos días siguientes a la recepción del cuestionario un costo estimado completo incluyendo el viaje y la terapia con Delfín por parte de nuestra agencia Megasport Reisen en Alemania, de acuerdo, naturalmente, con la disponibilidad dentro del programa de Terapia con Delfín. On receipt of our cost estimate you will be requested to send us the medical diagnosis, medical history, a photo of the patient and a medical certificate stating that the patient is fit to travel and to take part in dolphin therapy (for epileptics a recent EEG is also required) to cc83cf999faef239ff00148657fa3402 . Our doctors in the Dolphin Therapy Centre in Marmaris analyse the documents they have received, decide whether or not a dolphin therapy would be beneficial and propose a course of treatment based on the Patient’s disabilities. Which is necessary for the airline transport application. These questionnaires are received by our Travel Agent in Germany (Herr Franz Josef Wiengarn) and our team of doctors in the Dolphin Therapy Centre in Marmaris simultaneously. Having filled in the dates, hotel, number of adults travelling and, also very necessary, the dates of birth of children travelling, you receive within two days of receipt of the questionnaire a complete cost estimate covering travel and dolphin therapy from our travel agency Megasport Reisen in Germany, according naturally to free places in our dolphin therapy schedule. QUESTION : I am travelling alone with a wheelchair patient weighing 80 kg. who can help me at the airport, on the flight, in the hotel or in the dolphin therapy centre? Our Herr Wiengarn (Mega Sport Reisen) has informed the airline with which you have booked of the disablement status using the wheelchair registry form. It is the responsibility of the travel agency with whom you have booked through us to render the standard service for disabled persons. With only a few exceptions it is quite uncomplicated for a disabled person to fly using the special services of the chartered airline. One is attended to as a privileged person. At the check-in desk one is presented with a wheel chair from the airline, together with an attendant who accompanies one through passport control, on the special bus to the aircraft and to the appropriate seat on the plane. If one is unable to walk one is carried to the seat. This occurs before anyone else has entered the plane. The same procedure is carried out when disembarking. One waits until everyone else has disembarked, a special bus will be waiting to which one is helped or carried and an attendant will accompany one through passport control, attend to the luggage and take one to the awaiting transfer, or to the all-inclusive tourist bus, with the luggage. So one has help the whole time and one is not left alone for a minute. There should be no long queues at passport control and at flight transfers one is allowed with the attendant to take the shortest route to avoid any waiting. The hotel personnel have mainly contact with tourists but they are glad to help for a small tip. However you cannot count on continual assistance. At the dolphin therapy centre and during the therapy sessions there are always trained staff on hand who will take care of transport. The best alternative, as described in our offer on our homepage, is to rent a trained nurse, supervisor or assistant for 14 days. (please state this on the booking form) You can also organize a helper yourself (eg. a relative, therapist, student) who would accompany you during your stay. Our trainees (med. Therapist students) can be made available for supervision only for short periods. Yes it is possible to apply for the „Dolphin therapy package“ in the same way as described before-hand through our travel agency. All necessary documents required for the dolphin therapy application must be submitted for scrutiny by our doctors. After the doctors have confirmed eligibility your requested appointment will be confirmed by our Herr Wiengarn at Megasport Reisen. You are charged only for the dolphin therapy package. You will arrange travel, transfer and accommodation yourself. QUESTION : Wieviel Gepaeck darf ich mitnehmen? In der Türkei sind Sie den zu Hause gebliebenen immer eine Stunde voraus, stellen Sie bei Ankunft in der Türkei Ihre Uhr bitte eine Stunde zurück ! QUESTION :Where is it best to change currency? IIt is best to change only a small amount at home or at the airport. At the Change-Office here you get a much better deal. You can pay with your Credit Card everywhere in turkey and you can draw money from your account in all banks. QUESTION : What is the currency in turkey and how does it compare to the euro? QUESTION : How far is it to the nearest hospital and what is the standard of medical assistance and treatment? The four kilometres distant private and modern HETMAN Hospital meets modern west European standards of hygiene. There are even specialists for heart and brain surgery present. The hospital has all main departments and medical facilities. Charges are made for services rendered. These will be re-instated by all German medical insurance companies. We cannot recommend the cheaper state hospital as the services there do not compare with those of west European hospitals; unless it is only for simple maladies. QUESTION : What is the situation in marmaris as to baby food and nappies? In the nearby Migross Supermarket; Tansach Store, Kipa Store and also in the nearby chemists Milupa and Nestle baby foods are available. There are also some Turkish brands the taste of which, however, are not necessarily acceptable to the west European baby’s palate. (approx. 3Km, a minibus every 5 minutes). Danone Yoghurt is available in all the shops. Homoeopathic baby food is not available. Nappies such as Pampers are readily available but we do recommend that if special nappies are required that you bring them from home. In Marmaris you will find 20 Chemists that have a wide range of articles. All general goods and foodstuffs are readily available in Marmaris.. QUESTION : We require for our patient a family room with kitchenette. it must have a mixer or blender, cooker, fridge, sink and cutlery. which Hotels have this on offer? Only the Grand Yazici Mares Hotel has spacious bungalows, set apart in peaceful gardens, which include a kitchenette, 2 separate bedrooms, 2 bathrooms/shower/WC and terrace with a sea view. However no special provisions have been made there for the disabled and there are four to six steps. The hotel Mares is very helpful towards families with special needs. A chat with the Chef ensures that the food conforms to your wishes – gluten-free food for example. For a small tip small miracles can be performed, especially in the hotel Mares. QUESTION : How far away are the hotels listed in your website from the dolphin therapy centre? Distances from hotels described in our website to the dolphin therapy centre are as follows: Grand Yazici Mares Hotel 300 mtr. / Club Turban 300 mtr. / 600 mtr. /Tropical Hotel 900 mtr. / Oersmaris Boutique Hotel 700 mtr. For patients in wheel chairs we recommend the four-star Caprice Beach and five-star Club Turban hotels as between them they have 12 family rooms specially adapted for the disabled. Click on the link in our homepage and you will find answers to all of your questions in the photos and descriptions. QUESTION : Is it allowed for our therapist to be present during dolphin therapy sessions? Generally there are no rules against a therapist and up to four family members being present during the dolphin therapy sessions. In certain cases the therapist may decide on them keeping a bigger distance from the therapy platform. QUESTION : Are brothers and sisters allowed to play with the dolphin in the water? 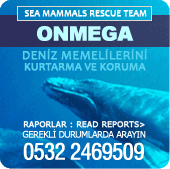 QUESTION : May I take photos/record videos durİng dolphin therapy? Of course you can. The therapist will show you from where you can take pictures so that the therapy will not be disrupted. Naturally our therapists and doctors must be able to work unimpeded.